Updated Tuesday March 26, 2019 by MIke Schoonover. 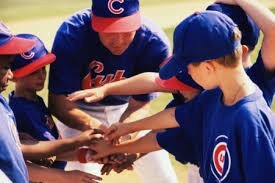 Thank you for your interest in coaching with Guthrie Little League Baseball. Our policy is currently a Pick Six with a draft. Which allows our coaches to pick (6) players to include their own child and the players of their choice. After the Pick Six is chosen the rest of your team will be a random draw. This will happen within the week after registration ends. Your Pick Six will need to be turned in on March 27th at the coach's meeting. If your Pick Six is not turned in on time you could forfiet your allowed picks. If you have more questions about coaching with GLLBA please contact us at info@guthrielittleleague.com You can register to coach here.